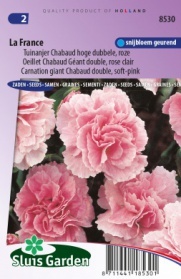 An annual, richly-flowering and sweetly scented carnation. A special variety, which is ideal for flower beds, borders, groups and of course as cut flower. Sow in a warm area. Later prick out, harden off and then transplant. Removing spent flowers encourages richer and longer blooms.